The traditional approach to level measurement in a pressurised vessel, such as a boiler, has been to use a conventional differential pressure (DP) transmitter with external water-filled ‘wet’ legs connecting both the high and low pressure sides of the transmitter to the drum. 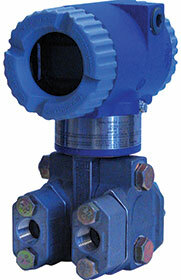 The use of DP transmitters for drum level is ideal because of their low cost, ease of installation and high reliability. However, the output of a conventional DP transmitter in this application will have inaccuracies caused by changes in static pressure, the densities of the water in each leg, and the densities of the steam and water in the drum. The Foxboro IMV31 density-compensated level transmitter provides a new approach to drum level measurement. While maintaining all the advantages of DP transmitters, it uses multiple measurements and on-board level calculations to provide a more accurate measurement. This eliminates the need to make similar level calculations in the control system. The new instrument is based on Foxboro’s proven multivariable transmitter technology, which was originally developed for flow measurement. The heart of the device is its ability to conduct on-board level calculations based on multiple measurements and fluid density calculations. The transmitter has a pressure sensor and a differential pressure sensor, as well as two internal temperature sensors. It also has the ability to power and monitor an external RTD temperature sensor. The transmitter continuously calculates the unique fluid densities, based on measured pressures and temperatures, and uses this information along with the DP measurement to calculate an accurate density-compensated liquid level. The densities of both the water and steam are calculated separately, based on the pressure measurement and vessel temperature. The transmitter has an RTD input and can also use the saturation stream table’s temperature corresponding to the measured vessel pressure in calculating water and steam densities. Regardless of the size of the drum and the saturation pressure, the IMV31 significantly improves the accuracy of drum level measurement over conventional DP transmitters and automatically provides dynamic compensation for varying pressures and temperatures.